This is a sponsored post written by me on behalf of Dairy MAX for PayPerPost. All opinions are 100% mine. 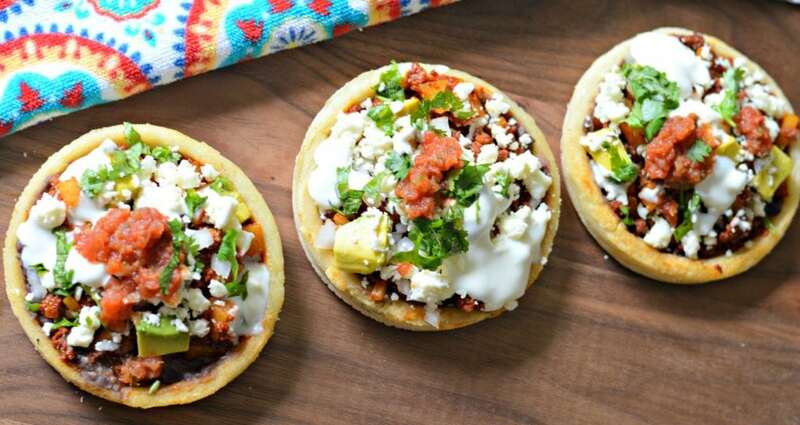 Inside: Keep reading to learn how to make a quick and easy Mexican sope recipe that is perfect for breakfast, lunch, or dinner. I am so glad that I had the opportunity to grow up on a ranch in Mexico where we had easy access to fresh, delicious ingredients. My grandparents’ ranch had pigs, cows, chickens, and much more. One of my earliest memories is when my grandpa would take me out where the cows were and he would teach me how to milk them. After milking the cows, my grandma would use it in many different ways. She made her own butter, some cheeses, and even cremas! If you have tried a lot of Mexican food, you will know that all of those ingredients are important for many authentic Mexican recipes. One of my favorites is a common Mexican food that is consumed most often for breakfast. 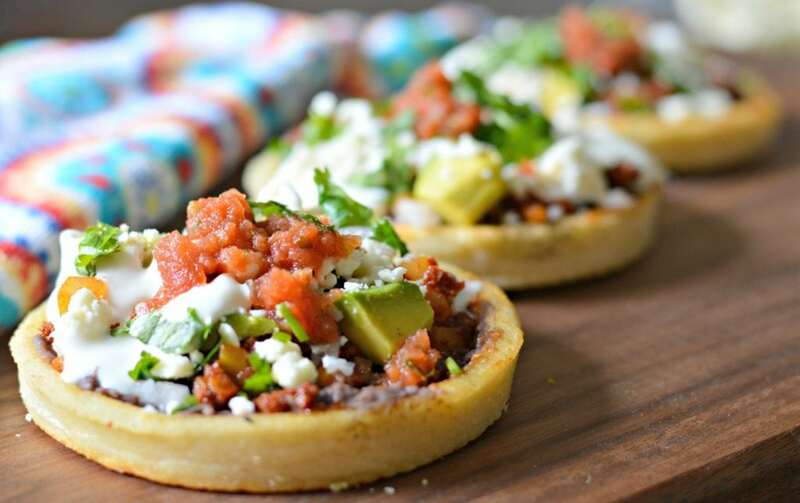 It is called a sope and, in its simplest form, consists of a small tortilla made with masa, topped with beans, salsa, cheese, and of course crema. The version that I am sharing today also includes Mexican chorizo and potatoes, and I hope you enjoy it for years to come! Now that I live in the suburbs in the United States, I don’t have the same opportunity milk my own cows. That said, I know that there are lots of local dairy farmers that work hard so that I can still make my favorite recipes using dairy products. Every time I buy dairy products, it makes me happy to know that I am supporting local dairy farm families. Everyone in my house loves dairy products, and that is one of the reasons that I include it in so many recipes. It is an important part of a balanced diet, so I am glad that my husband and kids love it! Like I mentioned above, I use crema (or cream), and cheese in so many different recipes, including this sope recipe. You can find lots of other great recipes at Dairy MAX . I found some that I am definitely going to be trying soon! When you think of Mexican food, you may think of tacos, tostadas, tamales, and guacamole. However, there are myriad different recipes and foods in Mexico that are just as delicious as those classics. 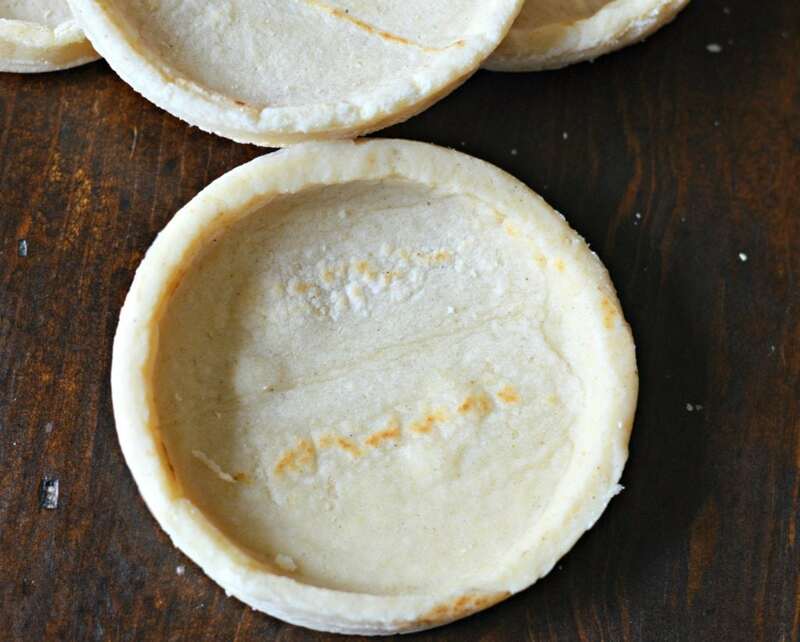 One that my mom used to make for us a lot when I was younger was sopes. 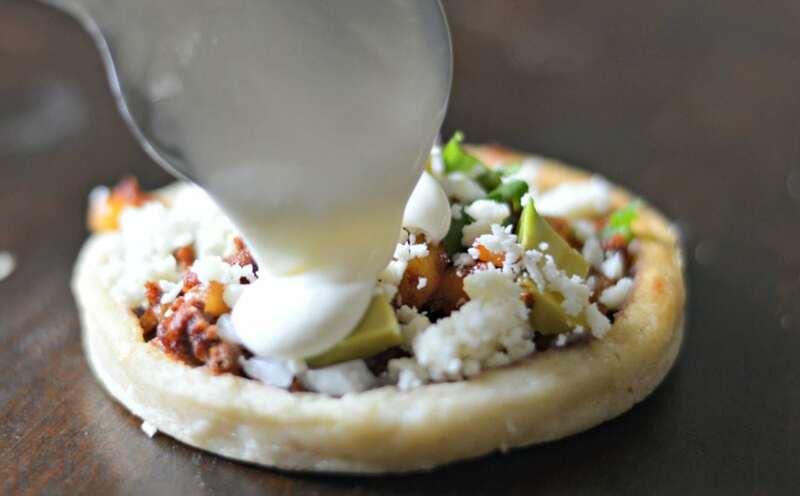 A sope is made by making homemade tortillas from corn masa, and then cooking them on a hot comal (or frying pan) with some oil, and then topping with beans, salsa, cheese (I always use queso fresco), and crema. The unique thing about a tortilla for a sope is that the edges are turned up, giving it more of bowl-like feel. Of course, you can modify the basic recipe by adding other ingredients, such as chorizo and potatoes. These are so easy to make, and everyone loves them when I make them for breakfast. If you have never made fresh corn tortillas, you may not know that it can take some time to get them perfect. Fortunately, if you don’t have time to make your own, I have found some pre-made sope tortillas in the store that taste great as well. I recommend using these the first time if you aren’t quite ready to make your own. 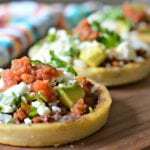 This sope recipe is sure to become a favorite after you try it one time. Feel free to use your imagination and use other ingredients, like barbacoa or pork carnitas. I am sure that however you make it, it will be a hit! Let me know in the comments below if you have any questions. 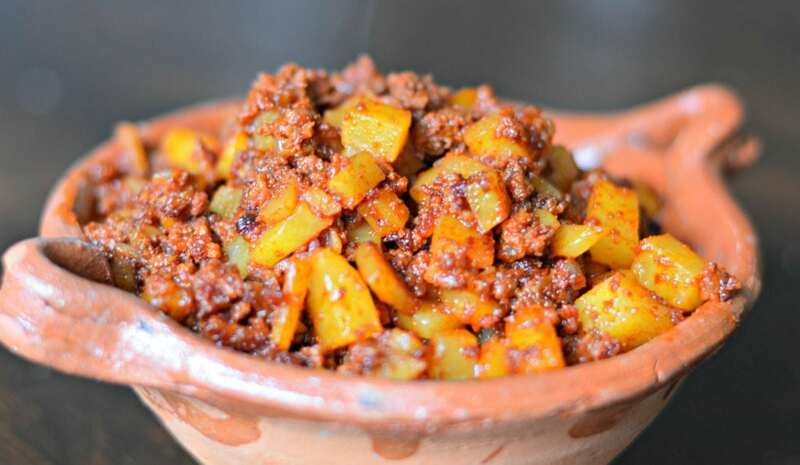 This sope recipe with chorizo and potatoes is easy to make and is perfect for anyone that loves Mexican food. 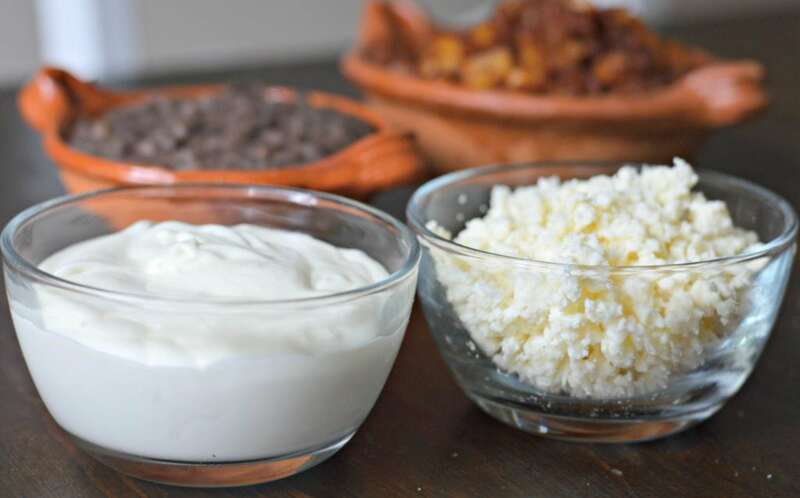 1 cup Queso Fresco can substitute with mozzarella if desired. 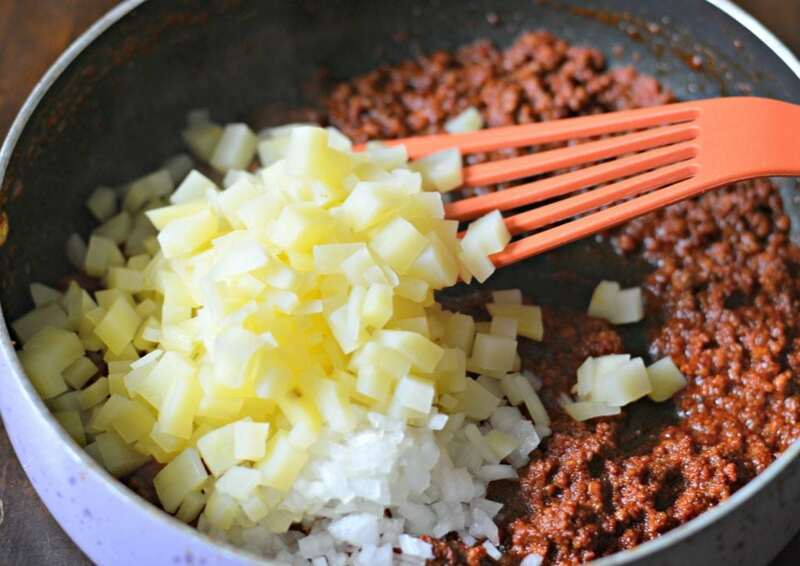 Add the chorizo to a hot frying pan, and break up into small pieces. Once cooked through, add the onion and potatoes and continue cooking for 5-8 minutes. Set aside. In a separate frying pan, add the vegetable oil and heat. 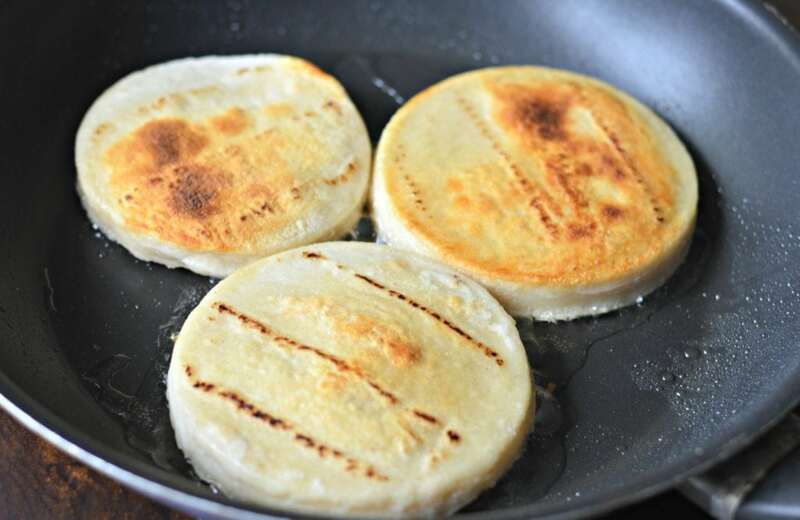 Once hot, add the sope tortillas and cook on each side until golden brown. Set aside. Form the sopes by taking one sope tortilla and adding the refried beans. Then add the chorizo and potato mixture and top with queso fresco, avocado, crema, salsa and cilantro. Serve hot.